A smile makeover is a comprehensive group of dental procedures designed to give you a spectacular, white, straight smile that really gets you noticed. Have you always dreamed about a dazzling smile, but thought it was only for the rich and famous? Think again. Today, a stunning smile is available to everyone, thanks to advancements in dental technology and the skilled expertise of Dr. Paul Mathew at Artisan Dentistry. What is a smile makeover? Rather than correcting or enhancing one individual aspect of your smile, a smile makeover is a comprehensive group of dental procedures designed to correct and enhance multiple dental issues for a spectacular, white, straight smile that really gets you noticed. Porcelain veneers offer a durable, natural smile that resists staining and is a great solution for chipped, stained, or misaligned teeth. All porcelain, metal-free crowns offer a superior alternative for replacement of natural teeth without that telltale gray line near the gums that often occurs with metal-fused-to-porcelain crowns. 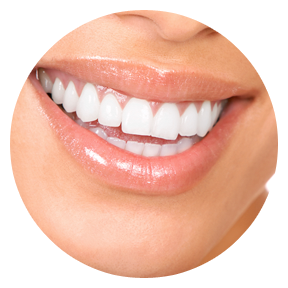 Tooth whitening is a very popular and safe in-office procedure that offers bright white teeth in one visit. Dr. Mathew offers custom fitted bleaching trays to take home so you can maintain your beautiful white smile whenever you wish. Dental implants are an excellent solution for replacing missing teeth, and help to preserve the natural contours of your face while minimizing bone deterioration that stems from tooth loss. Dental Bonding is a simple, painless procedure for correcting chips, cracks, cavities and other minor teeth flaws. In just one visit, you can walk out of the dental office with a brand new smile! Your Smile Makeover begins with a consultation in our comfortable office, where Dr. Mathew will allow all the time you deserve to ask questions while he evaluates your smile and recommends the best course of treatment. You’ll feel completely confident in Dr. Mathew’s care, knowing his experience and prestigious LVI training will bring amazing results. Browse our Smile Gallery to see the stunning results of our Smile Makeover for real patients. To begin your total smile rejuvenation, contact Artisan Dentistry in Salem, New Hampshire and Newburyport, Massachusetts.